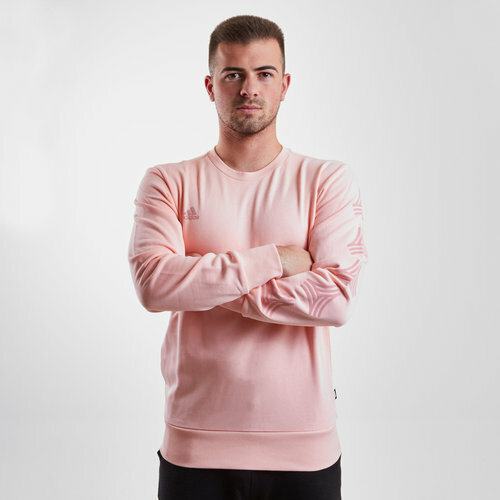 Be the envy of those around not only on the pitch but off it too in this adidas Tango Crew Football Sweatshirt in Haze Coral. This men's sweatshirt has been crafted with sheer style. Designed with drop shoulders and a loose, boxy fit, this sweater is made from super comfortable French terry cotton. 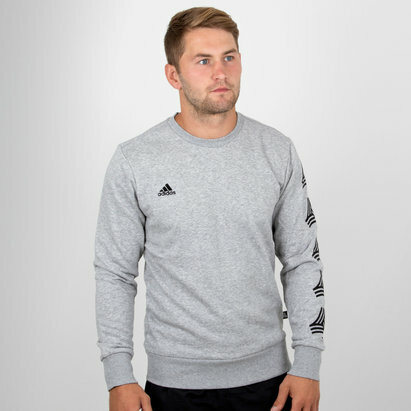 This sporting heritage of this sweatshirt can be seen down the left sleeve where multiple Tango logos can be seen whilst the adidas badge of sport can be seen on the right side of the chest. This top has a ribbed crewneck and ribbed cuffs and hem for complete comfort.